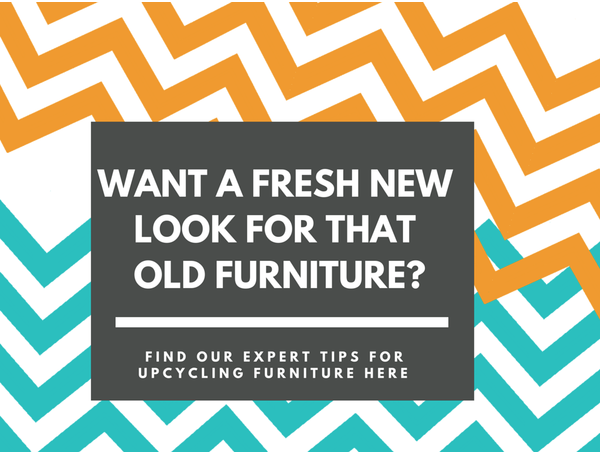 Want to give that old furniture a fresh new look, but don’t want to break the bank? We have something just for you! Update your old furniture with these easy steps. Start by removing any hardware (knobs, pulls, etc.). Make sure you’re working in a well ventilated area. The fumes from the paint stripper can be very harmful. 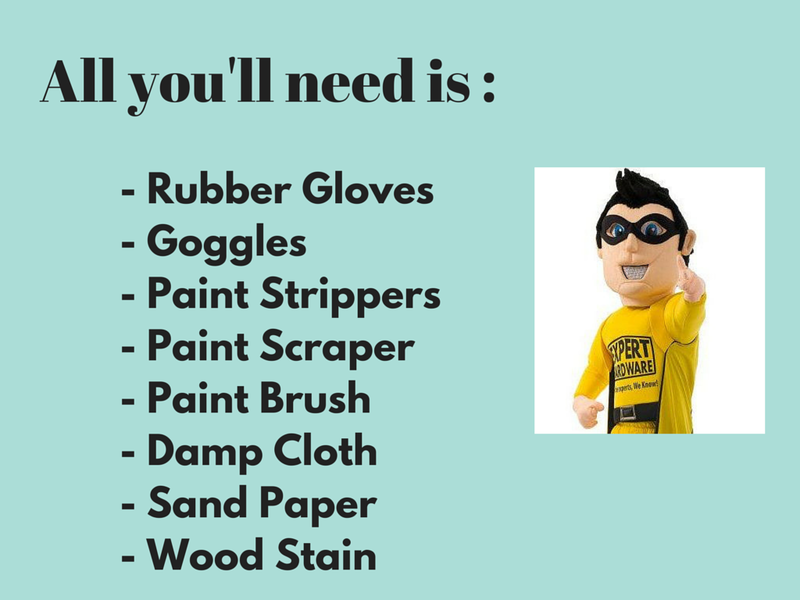 Put on goggles and rubber gloves before handling the paint stripper. Apply the paint stripper to small sections at a time by pouring it directly onto the surface and spreading it around with a disposable paintbrush. If working with a large piece of furniture, you don’t want to cover the whole area at once and risk the solvent drying. If so, you would have to reapply. Once the paint stripper is applied, try not to touch it at this stage, let it sit for the time recommended by the manufacturer. When the stripper starts to bubble, test a small area with a paint scraper. If you’re able to scrape the paint off effortlessly, down to the wood, the solvent is ready. Work in sections, scraping the paint off and then wiping down the wood with a rag dipped in mineral spirits. This should remove the remainder of the paint. If there’s any paint stuck in small crevasses or the grain of the wood, use a toothpick to remove it. Then carefully and lightly sand any stubborn remaining paint off with 120 grit sandpaper. Wipe off any dust. Apply stain to to the surface with a clean paint brush. Let the stain sit for the manufacturer’s recommended time and wipe off with a clean rag. You may add another coat if you like a richer, darker color. Screw back knobs, handles, and legs, and replace drawers. There are great July Offers happening right now in your local Expert Hardware.